FRANCE: The French environment agency Ademe has issued a call for proposals to develop floating offshore projects in the Mediterranean Sea and the Atlantic Ocean. Each project will consist of three to six turbines with a minimum capacity of 5MW as the government seeks to push the development of the technology. Interested parties will have until 4 April 2016 to submit the proposals. Each project must run for a minimum of two years. French Prime Minister Manuel Valls announced there would be a tender for pilot offshore projects in December. Regional authorities identified the four zones, one off the Atlantic coast of Brittany and three in the Mediterranean (see table, below). Installation is expected in 2018-19. Each will receive a share of the government's €150 million funding and a tariff, the rate of which has not yet been announced. 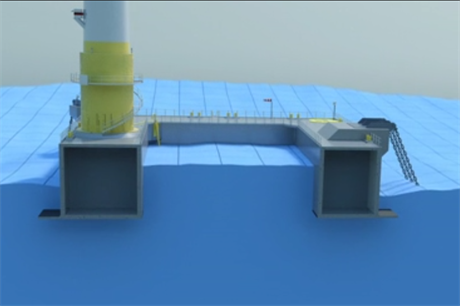 The funding will cover design phase and development of the pilot, the components of the farm (turbines, floaters, anchors, electrical architecture, connection), operation and decomissioning. Apart from the desire to create local jobs, the main driver is simply that France has little space for fixed-foundation turbines. The seabed falls away quickly off the coast, especially in the wind-rich Mediterranean, where the industry has identified potential for 3GW of floating capacity. The west coast could yield another 3GW. France is looking to become a leader in floating technology and designers have been working on floating turbines for a number of years. First is likely to be Ideol's Floatgen platform equipped with a 2MW Gamesa turbine set to be installed in the first half of 2016. DCNS and Alstom's semi-submersible SeaReed floater, equipped with a Haliade 6MW machine, is also set to be installed in 2017.